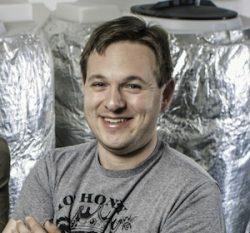 Greg Heller-LaBelle is the CEO and co-founder of The Colony Meadery in Allentown, PA. Prior to that, he drove the success and growth of startup ventures in industries ranging from community banking to math educational technology. A passionate believer in community and economic development, Greg started his career at the economic development nonprofit Riverlife in Pittsburgh, where he coordinated communications around major land development projects, including stadiums and Point State Park revitalization. He also has worked and volunteered on several political campaigns, ranging from city council to president. In his off time, Greg was a writer who had successful blogs on politics, beer and art (and, sometimes, how they interact). An alumnus of Pitt and Lehigh, he’s lived in Bethlehem three times, Pittsburgh twice, and Mexico once. Now he lives in Bethlehem with his wife and their bulldog, Disraeli.